Page revised in January 2018. Photos taken in September 2015 with Canon Powershot SX 700 HS. You may wish to see the Temples and the Walls of Paestum first. 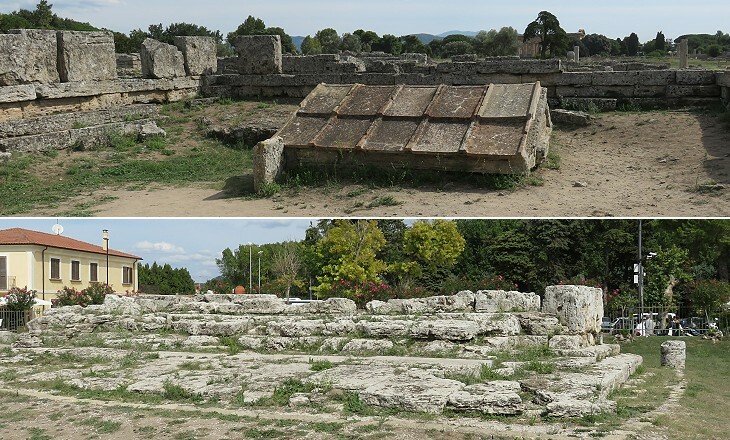 During the XXth century archaeologists excavated all the area between the two southern temples and the northern one and they were able to identify the Roman Forum of the ancient town and the site of some nearby buildings. Their findings however did not match the size and importance of the temples. It appears that Paestum reached the zenith of its development and prosperity in its early days and that the following periods of its history did not add much to its monuments. Archaeologists were luckier in their excavations outside the walls of the town. 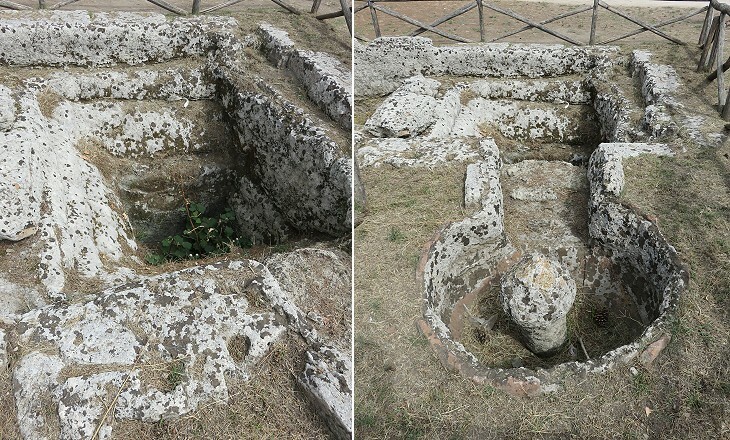 In the 1930s they found the remains of a Heraion, a shrine to Hera (Juno) at an ancient harbour of Paestum at the mouth of the River Sele. The buildings had entirely disappeared, apart from their foundations, but many metopes which decorated them were found and they are now on display at the local museum. 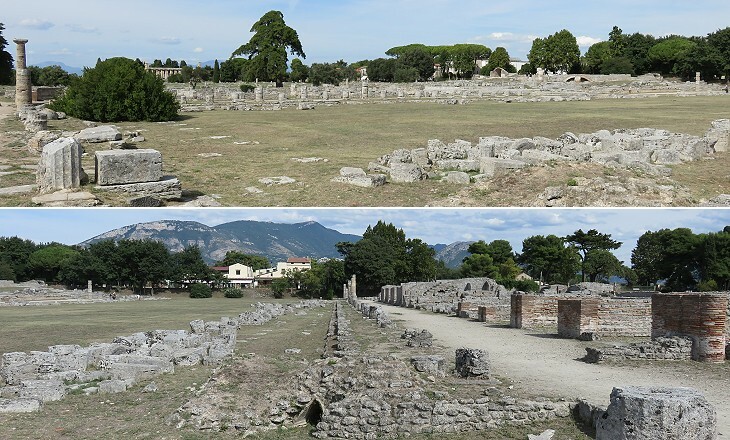 The Forum was designed in the Ist century BC when Paestum was a colonia latina, a town which retained some form of self-government, but was basically subject to Rome. 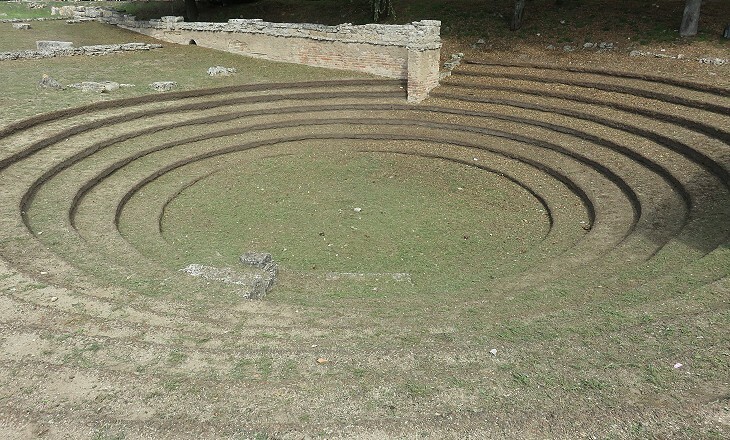 The Curia was the building where the local town council met and the circular bench on which its members sat is still very evident. It was a brick building with plastered demi-columns, a typical element of Roman architecture (you may wish to see the demi-columns of the Colosseo). The Capitolium stood opposite the Curia on the other side of the Forum. 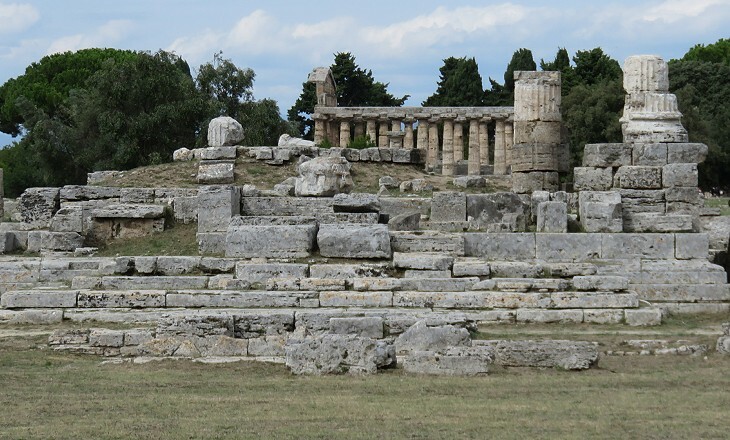 It was the temple symbolizing the link between Rome and Paestum. Temples of this type were built in the Ist/IInd century AD in many parts of the Roman Empire; they were usually dedicated to the Capitoline Triad (Jupiter, Juno and Minerva). You may wish to see the Capitolium of Sufetula in today's Tunisia. Ceremonies at this temple were mainly related to events of the history of Rome or of the life of its emperors. 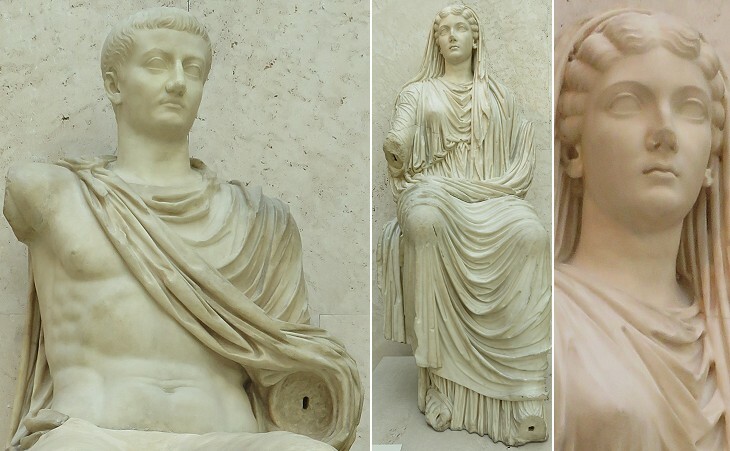 These two statues were most likely placed near the Capitolium. They were found in ca 1863 during excavations financed by José de Salamanca, a wealthy Spanish businessman who was involved in the construction of railway lines near Naples. He legally exported them to Madrid to embellish his palace. The amphitheatre stands near the northern side of the Forum and it was built in two phases. The central structure was made up of large sandstone blocks in the Ist century AD. It was enlarged in the following century by a series of brick pillars which supported an additional wooden seating section. Its size and construction technique when compared to the amphitheatre of Pompeii indicate that Paestum was not a main town of the region. Via Popilia aka Via ab Rhegio ad Capuam (and not to be confused with another road by the same name in northern Italy) linked Capua, near Naples, with Rhegium on the Strait of Messina, but it did not cross Paestum. The Forum of Roman Paestum did not stand on the site of the agora, the central square of Greek Posidonia, but to its south. 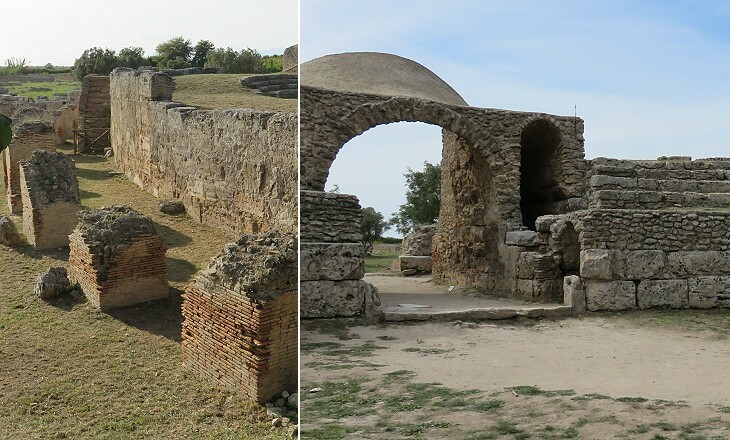 All citizens (ekklesia) assembled at the agora in a circular space with low stone benches which archaeologists found beneath a layer of Roman period remains. The term ekklesiasterion indicates the site of a very large assembly; that at Posidonia was more likely a bouleuterion, where meetings of the most senior citizens were held as at Priene. The remains of the Roman period were less interesting for the archaeologists and the public than those of the early days of the town. 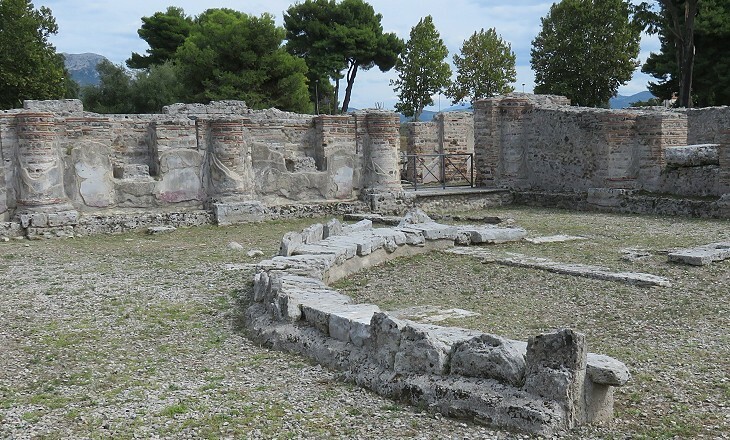 Excavations in the agora found evidence of a Roman gymnasium which was built over a previous large pool. The latter was part of a temple which stood on a stone platform. It has been suggested that ceremonies included the lowering of the deity statue into the water and its subsequent move to the platform. The structure is dated IIIrd century BC when Paestum was a colonia latina. On a very hot day, a visitor is inclined to think the inhabitants of the town used it as a municipal swimming pool. The Heroon of a Greek ancient town was a temple or a funerary monument dedicated to a local hero or to the mythical founder of the town (you may wish to see that at Sagalassos). The Heroon is one of the oldest monuments of Posidonia and it was a tomb because funerary vases containing honey were found inside. It was covered by a conical earthen mound (similar to those found at Mycenae) which was removed in the IIIrd century BC and replaced by a tiled roof. The three large temples and the Capitolium were not the only temples of the town. Evidence of temples dedicated to Asclepius, Zeus Agoraios, Demeter, the Lares, Hercules and other deities have been identified mainly through the finding of votive offerings. Apparently this unusual finding in the southern part of the town could seem to be a baptismal font, but although it might have been used for something similar to a full-immersion baptism, it is not evidence of a church. 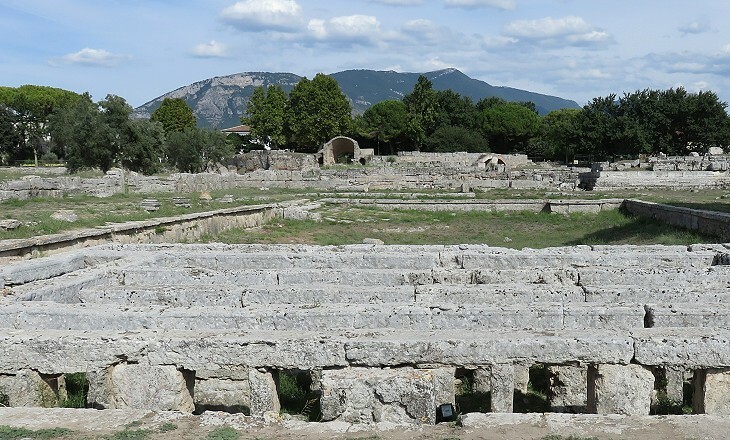 A Bishop of Paestum is recorded in the Vth century; his cathedral was situated in an ancient building near the Temple to Ceres in an area where presumably the limited population of the town resided. The Bishops eventually left the town for safer and healthier locations, but until the XIIth century they continued to be referred to as Bishops of Paestum. 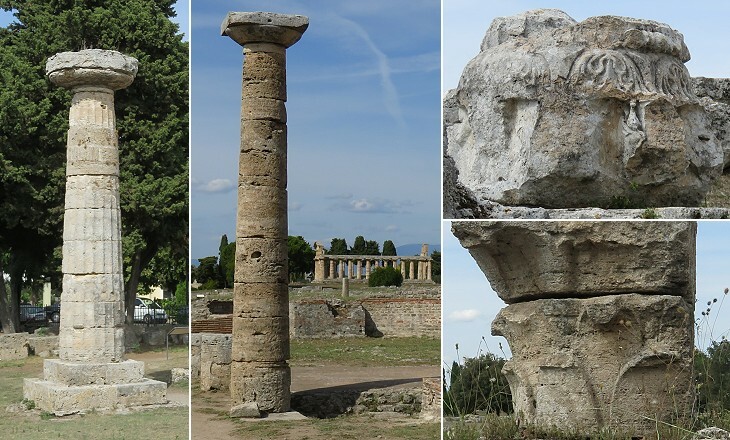 Archaeologists have chosen to reconstruct some columns of the early days of Paestum, rather than those of the Roman period to emphasize the Greek origin of the town. They have been placed here and there, even in the Forum where it is highly unlikely they ever stood. The image used as background shows a rare flower-like decoration of a capital near the Forum.